Not all heating and cooling service is the same—you’ll feel more comfortable when you work with a reliable HVAC company. Homeowners in the Winona area count on the pros here at River City Heating & Air Conditioning—and have trusted us for over 30 years. 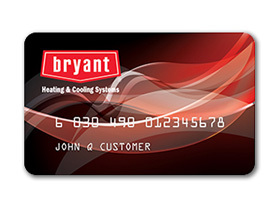 Furnaces—we provide routine maintenance and reliable repair service for all furnace makes and models—and proudly install energy-efficient Bryant® systems. 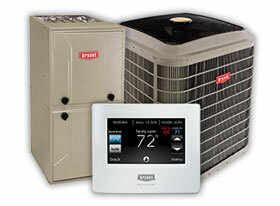 Air conditioners—we recommend and install Bryant® air conditioners, and are happy to do maintenance and repair for all AC makes and models. Boilers—not all contractors service these hydronic systems, but we’re proud to lend our expertise for your boiler service needs, including installation, maintenance, and repair. Indoor air quality—make sure your home’s air is healthy with indoor air quality service from our pros. We can recommend humidifiers, dehumidifiers, air purifiers, and more. Our service area spans 30 miles surrounding Winona, including: Goodview, Rollingstone, St. Charles, Rushford, La Crescent, Ridgeway, and other communities—and even across the border to the greater Arcadia, Wisconsin area. Facing an unexpected heating or cooling system replacement? We offer financing with approved credit to help you get comfortable. 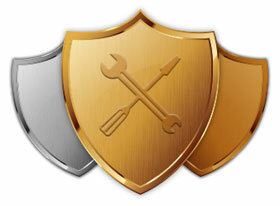 Sign up for a maintenance plan to protect your system from breakdowns, improve efficiency, and extend its lifespan. We change our promotions and offers regularly to help our customers save on home comfort however we can. Thanks for the incredible after-hours service. The air conditioner is working great—whew! We’ll be putting your phone number on speed dial! We do whatever it takes to keep our customers comfortable. That’s why they feel confident referring us to their friends and family. Our service is prompt, cost-effective, and reliable. We schedule appointments around your busy schedule, get the job done right the first time, and make sure we explain every step. The next time you need comfort service, give us a try and discover why your neighbors are lifelong customers.